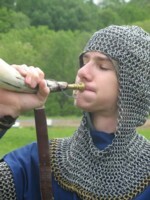 Sometimes a visual aid is very helpful in conveying the realities of our faith. One of our Lenten traditions that we are revisiting this year is our Cross of Mercy. 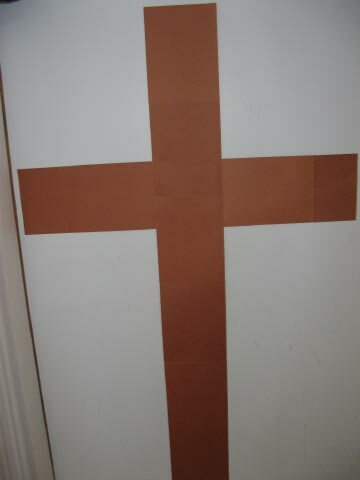 We start with a large cross on the wall, simply made by taping together sheets of brown construction paper. 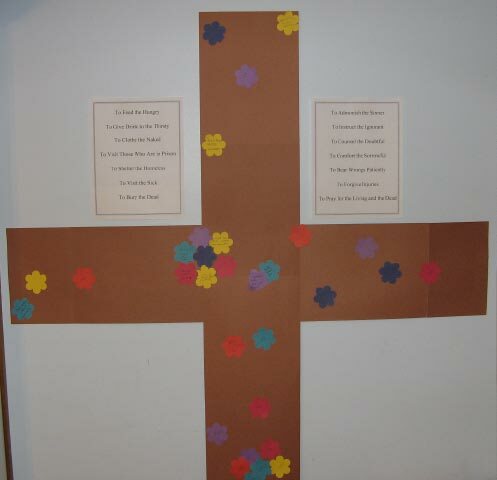 The idea is to cover the brown cross with colorful flowers representing our works of mercy and sacrifices. Everyone writes their offerings on the flowers and glues them on the cross. Sometimes blank flowers are added if a person wishes to keep the sacrifice private. 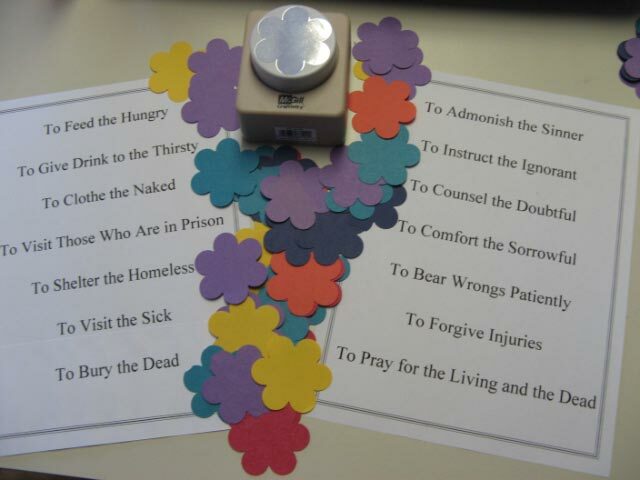 We print out lists of the Spiritual and Corporal Works of Mercy and put them on the wall near the cross. We splurged on a large paper punch this year, so it is easy to keep a little basket containing colored flowers, a pen, and a glue stick handy. I suggested using hearts this year for a change, but the children wanted to use flowers again (tradition!). You can also add the Scripture verse, Truly, I say to you, as you did it to one of the least of these my brethren, you did it to me Matthew 25:40, either somewhere on or near the cross. This is what our cross looks like now. 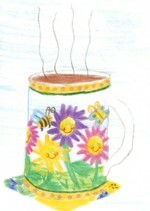 There are many, many daily opportunities within the family to perform works of mercy: comforting the crying (baby), feeding the hungry (toddler), giving drink (tea) to the thirsty (mom), clothe the naked (babies with crocheted hats), forgive (boisterous brother) injuries - the possibilities are endless. Our hope is that by the time Easter arrives, there won't be any more brown paper visible. Our cross serves as a constant reminder of our call to mercy, and that our good works and sacrifices can be united to the Cross of Christ.